The US tech leader Apple has announced two new products – an entirely new MacBook Air line based on the latest Intel Haswell architecture and Mac Pro computers with an unusual form factor. Both products have come to light at the ongoing WWDC conference. The new MacBook Air line comes in the same form factor as before but this time sports Intel Haswell processors. Apple offers two versions of the MacBook Air computers – with a 13.3-inch display (1440 x 900 pixel resolution) and with an 11.6-inch screen (1366 x 768 pixel resolution). The update to Haswell has allowed Apple to increase the battery life of the MacBook Air line. Thus the 11.6-inch machine can live for up to 9 hours compared to 5 hours now, while the larger 13.3-inch MacBook Air now gets 12 hours of work, up from 7 hours until now. On the inside the new MacBook Air line offers 4 GB of DDR3 memory (up to 8 GB), 128 GB or 256 GB of SSD storage and Intel HD 5000 graphics, integrated in the Haswell processors. In addition the ultra light computers offer Wi-Fi 802.11n and Bluetooth 4.0. The base models cost as follows – the 11.6-inch model sells for USD 999, while the 13.3-inch model starts at USD 1099. 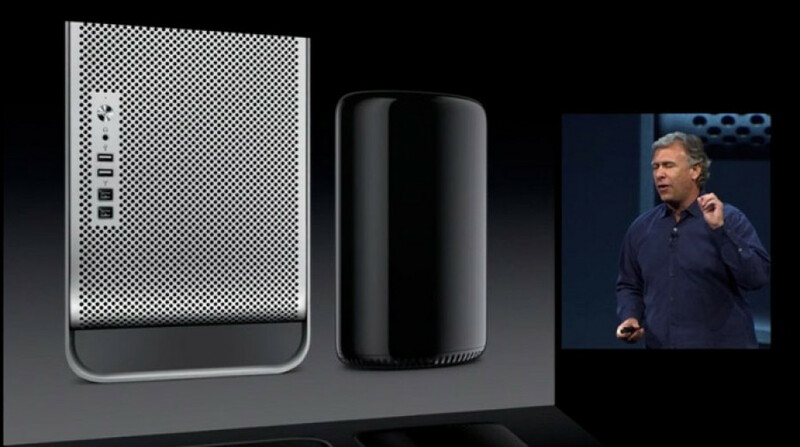 The other new product is an entirely redesigned Mac Pro line of personal computers. The new Apple product comes in a completely new form factor that looks like a cylinder that measures 25 cm high and 16.8 cm in diameter. The futuristic machine gets cooled by three cooling fans and packs powerful hardware – it can house an Intel Xeon E5 chip with up to 12 Ivy Bridge cores and two AMD FirePro graphics cards with up to 6 GB of GDDR5 memory. The new Apple product also supports up to three 4K monitors and offers quad-channeled memory access and support for DDR3-1866 memory for up to 60 GB/sec of memory bandwidth. 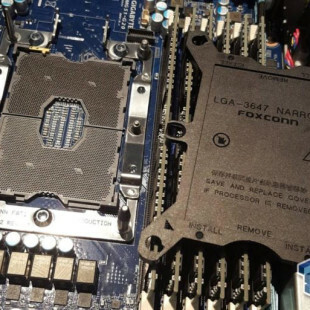 Wi-Fi 802.11n and Bluetooth 4.0 provide connectivity. The pricing of the new Mac Pro is unknown.